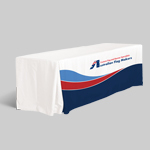 Stretch tablecloths are extremely popular because they offer easy setup and a seamless appearance. 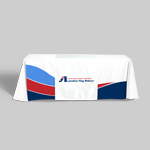 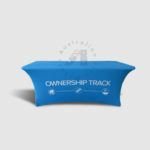 Whether you’re setting up a table at a small trade show or you’re preparing for a large product exhibition, we have three stretch tablecloths to choose from that include a basic stretch cloth with four sides, an open back, and a zipper back. No matter which tablecloth you choose, they all look professional from every angle. 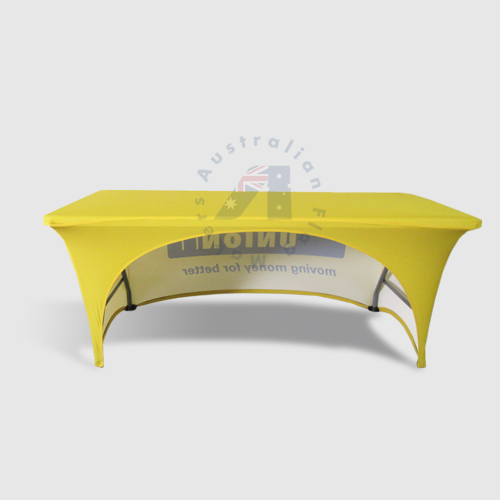 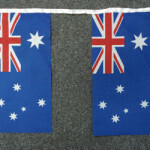 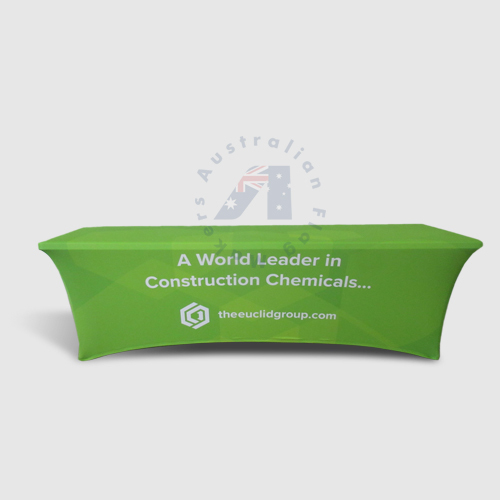 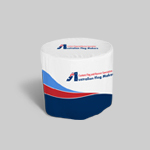 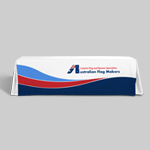 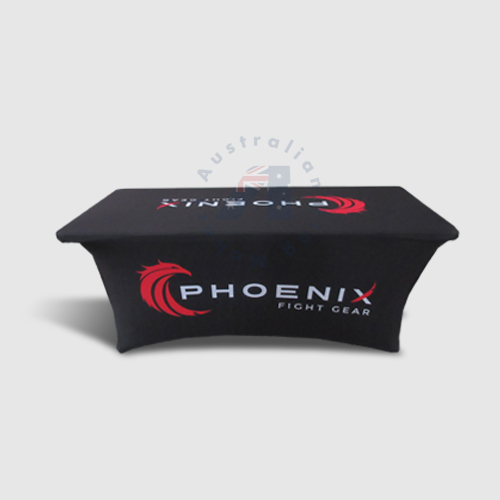 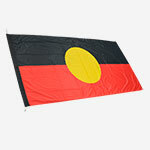 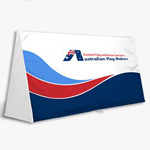 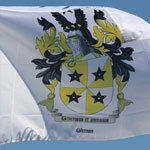 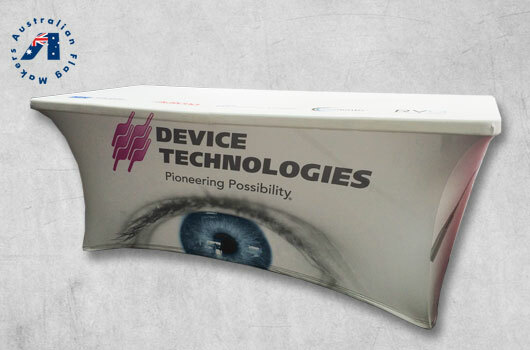 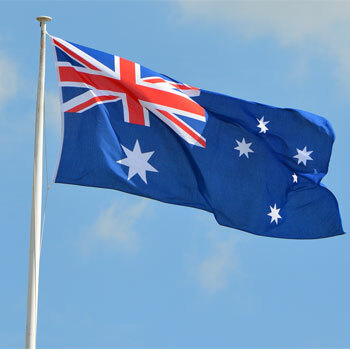 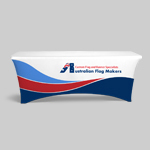 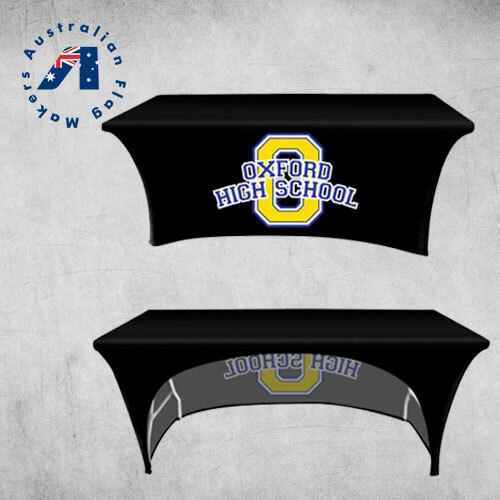 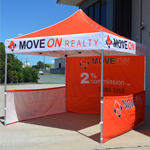 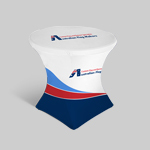 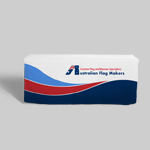 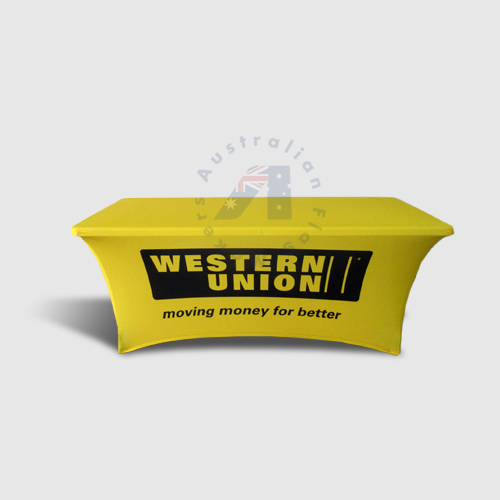 Stretch table covers offer unbelievable tightness brought about by their 180gsm elastic polyester fabric. 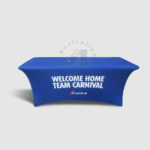 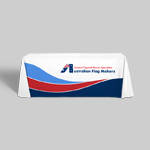 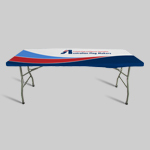 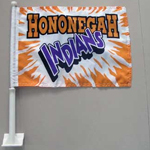 With a stretch tablecloth, you never have to worry about the wind obstructing your logo, which is a common occurrence with many other tablecloth styles. 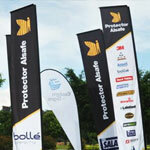 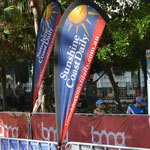 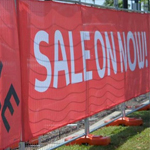 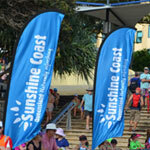 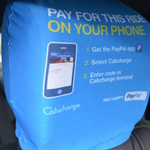 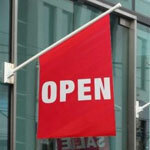 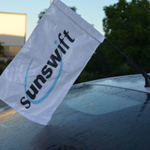 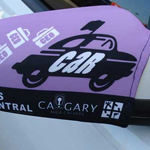 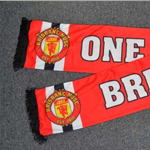 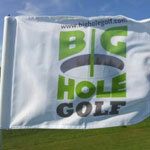 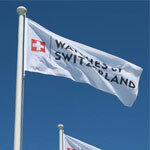 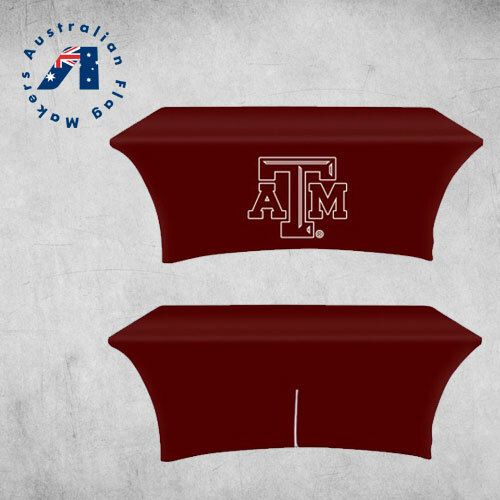 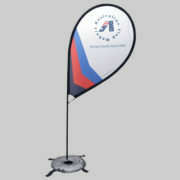 Your logo will be perfectly displayed, no matter what the weather, providing superior visibility of your brand. 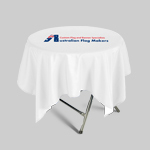 Each tablecloth is constructed with quality and affordability in mind, making them a great choice if you’re on a budget. 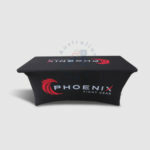 Dressed with custom printed stretch tablecloths, your plain tables will immediately be transformed. 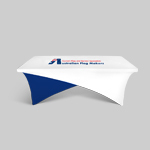 Each custom cover emphasizes the table’s shape, while beautiful curves add a sense of elegance. 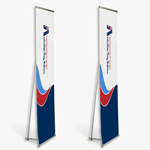 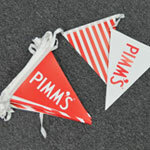 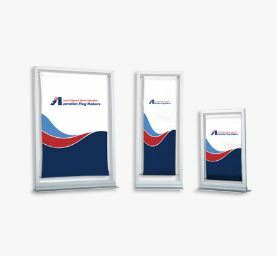 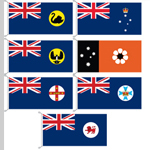 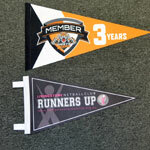 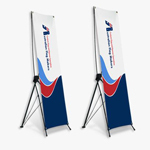 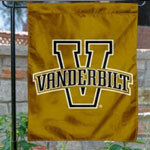 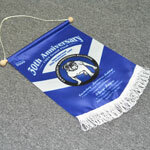 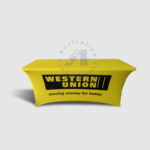 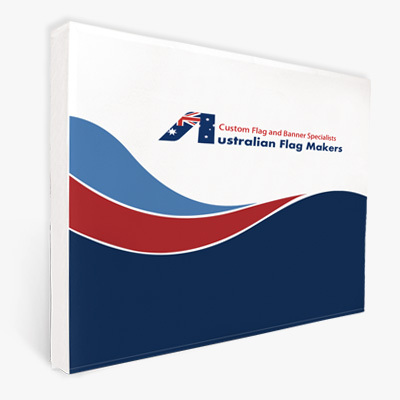 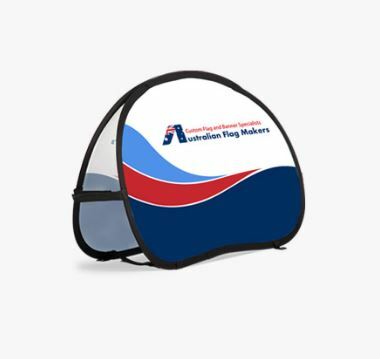 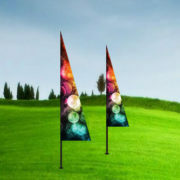 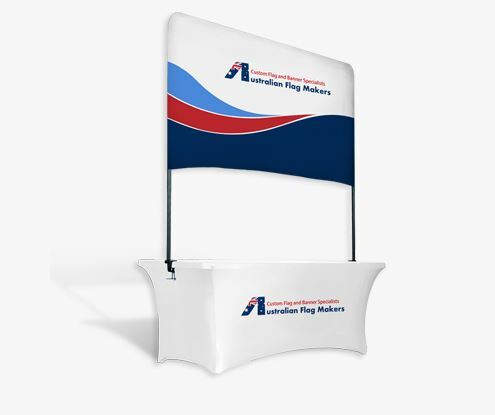 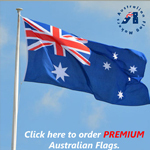 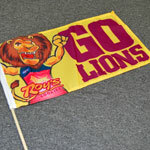 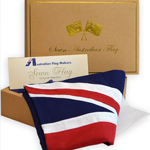 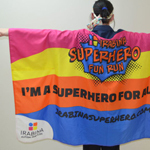 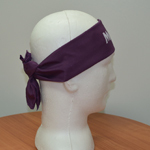 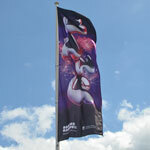 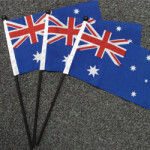 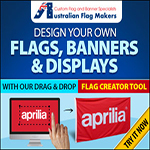 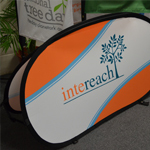 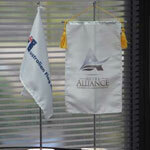 Because they offer a clean visual presentation, they truly are an excellent tool for promoting events. 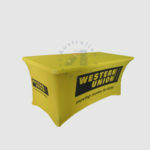 Choosing either a hollowed-out back or a zipper back will provide you with storage for your items. 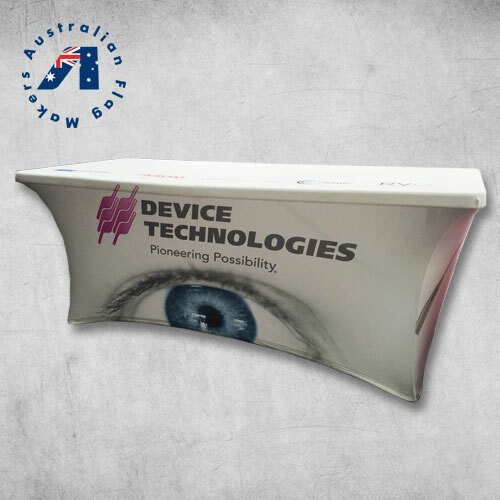 If you’re looking for a way to sit comfortably behind the table, choose the hollowed-out back. 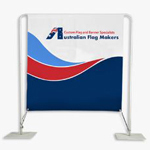 If you worry about security at crowded events, the zipper back allows you to tuck valuable items out of sight.